A team of scientists from Australia, Brazil and Spain have joined forces to develop the most sophisticated remote monitoring system ever used to track the diminishing biodiversity of South America's Amazon Jungle. The project will revolutionise the way biodiversity is monitored by creating a distributed, wireless sensor network throughout the jungle with autonomous nodes that continuously monitor wildlife under the canopy of the Amazon Forest. The team has been granted nearly $2 million by the Gordon and Betty Moore Foundation, a philanthropic funding body established by Gordon Moore - the founder of Intel - to carry out the first stage of this biodiversity monitoring project. The four research partners involved in the project, dubbed Providence, are meeting in Australia this week to commence phase one. Dr Alberto Elfes, research scientist at CSIRO’s Data61 and leader of the Australian arm of Providence, said species were being extinguished at a faster rate than we can catalogue them, but accurate biodiversity assessments were difficult to obtain. “Remote sensing satellites and science aircraft provide a wealth of data about broad changes in forest cover, deforestation and land use, but these methods reveal almost nothing about the true story of biodiversity beneath the forest canopy,” Dr Elfes said. “Biodiversity assessments are difficult to carry out in rugged and remote areas using traditional methods. Researchers need to trek into the jungle to count the species they see and hear, and it can be quite dangerous as tropical rainforests are very inhospitable to humans. “Our technological innovation to monitor biodiversity in the Amazon is on a scale that hasn’t been seen before, and will use multiple technologies including acoustics, visual and thermal imaging. The new technology will have a major impact on measuring and preserving the Amazon’s ecosystem, allowing researchers, governments and the public to understand and monitor the impact of changes in forest cover and biodiversity. 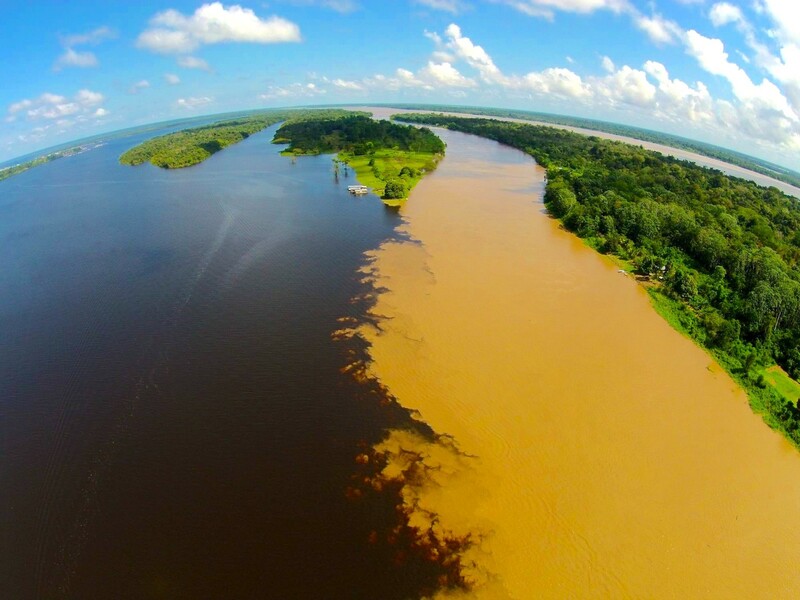 Dr Emiliano Esterci Ramalho, researcher and monitoring coordinator at the Mamirauá Institute in Brazil and Providence project leader, said the initial study area was at the southern end of the Mamirauá Reserve, between the Amazon and Japurá rivers. “One of the major concerns for scientists worldwide is loss of biodiversity and the extinction of species. An accurate biodiversity assessment of an area such as the Amazon is essential to help combat the potential loss of wildlife,” Dr Ramalho said. “We’ll be collecting data from acoustic sensors (for underwater creatures, as well as terrestrial animals such as birds, frogs and monkeys), visual images, environmental data (wind, temperature, humidity, air pressure), and even thermal images. Phase one of Providence we field test 10 trial monitoring devices in the Amazon, to create a wireless network of sensor nodes. Phase two will scale up to around 100 nodes in the Amazon basin and phase three will see up to 1000 nodes installed. Professor Michel André, founder and president of The Sense of Silence Foundation and director of the Laboratory of Applied Bioacoustics of the Technical University of Catalonia, BarcelonaTech, said monitoring wildlife with underwater passive acoustics will be a key technology in this project. “New sensor developments and increased power in processing modules, originally developed for complex underwater ocean ecosystems, will be applied to the conservation of terrestrial and aquatic creatures for the first time in a large scale environment like the Amazon,” Professor André said. CEO of CSIRO’s Data61, Mr Adrian Turner, said Project Providence brings together and extends state-of-the-art wildlife monitoring techniques in species identification, data compression and transmission, and energy management. “The integration of technologies involved in the Providence project will revolutionise the way we monitor biodiversity in tropical forests around the world,” Mr Turner said.